Well OK, maybe this isn’t as scary as it seems. But, we think that the implications are potentially scary. How long until one of these things is designed and programmed to hurt people? In the 1940s and ’50s, some people would have laughed at the thought of a permanently manned orbiting space station, crewed with people who could whip out a camera and take your picture from 215 miles above your town. 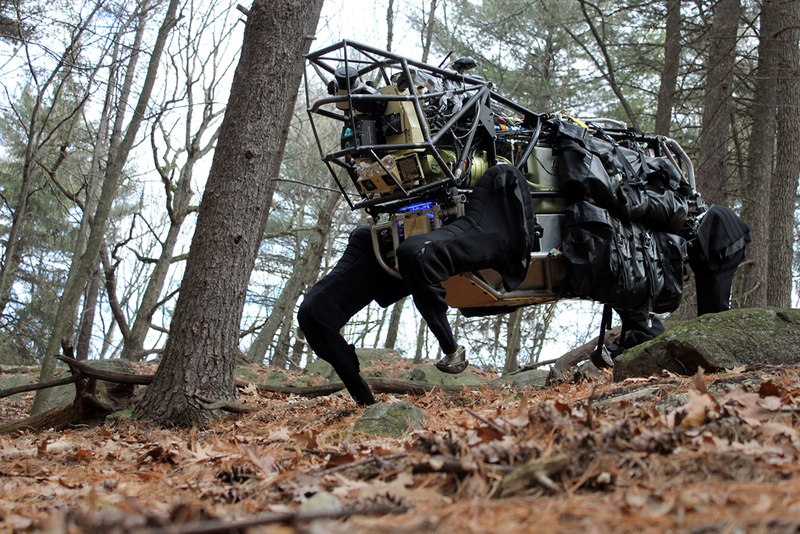 Fast forward to today’s reality, and meet DARPA’s new “ground drone” – a mechanized, automated pack mule robot that automatically follows its human leader around through all kinds of terrain and elevations, carrying up to 400 lbs. A company called Boston Dynamics came up with this thing. You have to see the video to believe it – make sure to watch to the end, where you see the thing on its side, then it rights itself. There’s also a clip at the very end with two of the robots, and they have these sensors of some sort kind of rocking back and forth – kind of terrifying, if you ask us.